A heroic 11-year-old boy died after he jumped into a frozen Queens pond to save the life of his 12-year-old pal who had fallen through ice, authorities said. The deadly accident happened as Anthony Perez, 11, and Juan Umpierrez, 12, were playing in Forest Park at about 4 p.m., officials said. “He was on land, he only went out to the ice after the other kid fell through,” a law enforcement source told The Post. 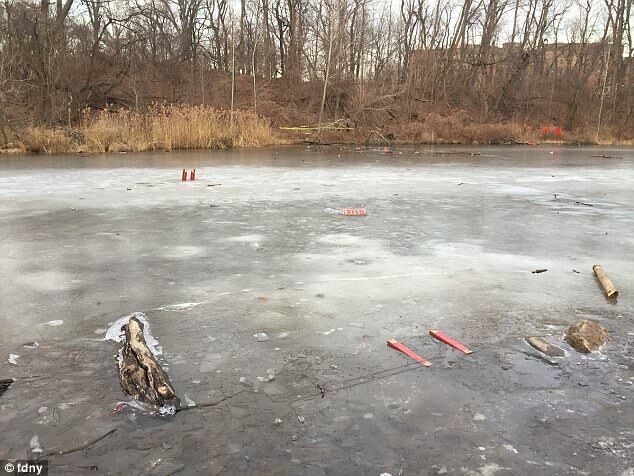 Rescuers waded through the frigid, chest-high water — whacking a thin layer of ice with their hands — and plucked Perez from the pond, FDNY deputy chief George Healy said. 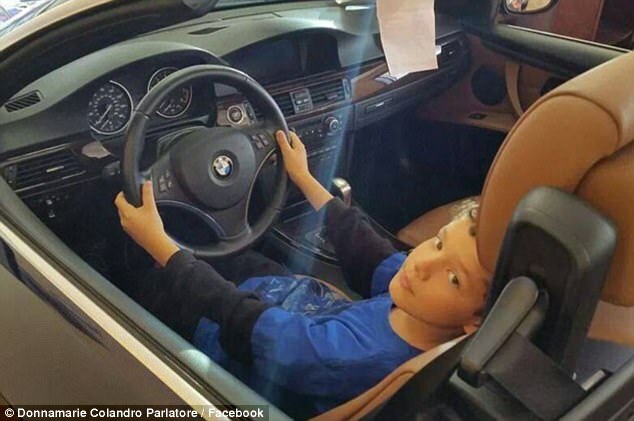 But when they got Perez to dry land, he wasn’t breathing — so paramedics performed CPR and rushed the youngster to Jamaica Hospital, where he was pronounced dead. “He did help get him out, but he couldn’t save himself,” the law-enforcement source said. Perez’s neighbors in Middle Village were shocked and saddened by the news — but not surprised Anthony was so quick to act. “I’m going to call him a hero: He’s a hero,” said Carmen Rivera, 51, who lives downstairs from the Perez family. Another neighbor, Leonardo Coraci, 41, also said Perez was well-liked. “He’s a good kid, he’s a really great kid . . . it’s a shame something bad had to happen,” said Coraci, who said the pond was once a baseball field. “It used to be a baseball field before it was a pond, and they actually had to change it into a stinking pond. They should have kept it as a baseball field. It stinks. The FDNY urged parents to warn kids about the dangers of playing on frozen bodies of water in the winter. Some of the rescuers fell through the ice themselves while trying to save the boy, he added. Two firefighters were also treated for hypothermia. Days when temperatures reach just above freezing — like on Tuesday when the Big Apple hit 35 degrees — are the most dangerous, Healy said.